· Constructed out of two thick layers of jeans & nylon for durability and longevity, providing comfortable control to your pet. 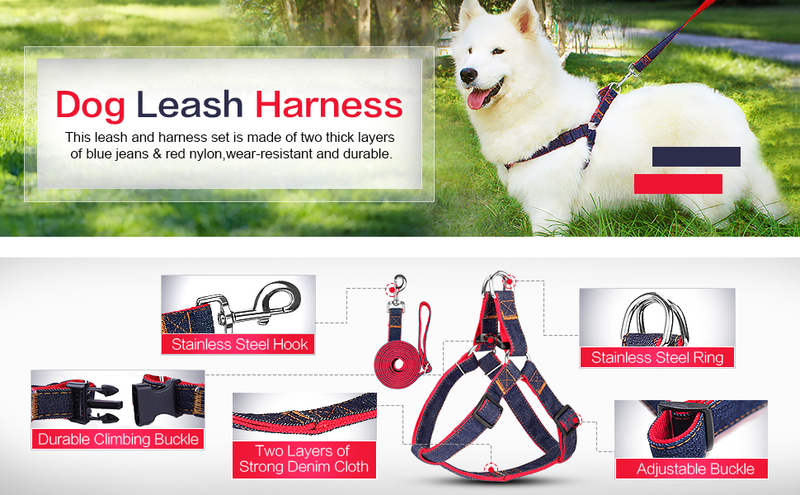 · Harness comes with heavy duty hardware, the clasp that holds the leash to the harness fastens securely, metal is highly resistant to wear and rust, 2 adjustable straps can be adjusted to fit dogs. · Soft texture with no hard edges or buckles to irritate skin or back of leg. Does not wrap into sensitive armpit area where most chafing occurs. · The dog leash and harness have a clean, classic look that will make your dog look handsome at agility obedience behavior training classes or at the dog park. · Put the dog leash harness unbuckle, make your pet down with left leg in the left loop, right leg in the right loop. 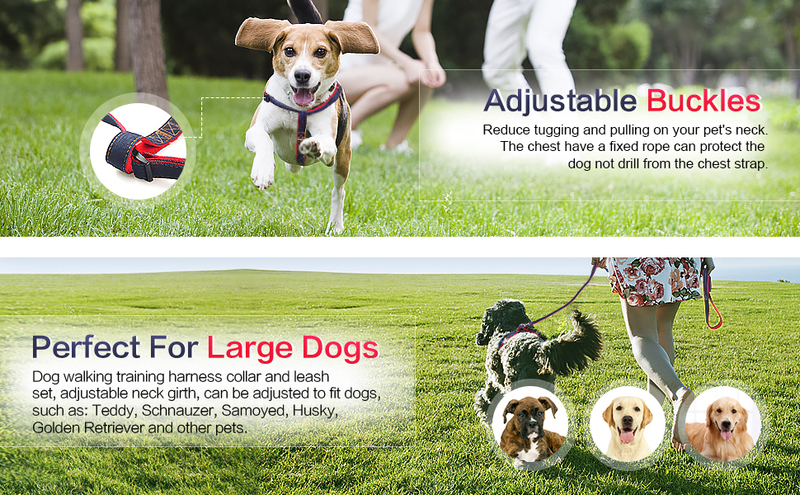 · With the harness having 2 adjustable points, adjust it to fit your pet's body. Then buckle the harness. · To hook the dog leash harness on both metal rings of it. · Please confirm your pet's chest girth and neck girth before ordering. · This leash and harness set is made of denim cloth, please soak the harness and leash in the saline water for half an hour before your first using.